If you love black discs, our "phono module" is an absolute "must have" for you and the friends of analog music reproduction. 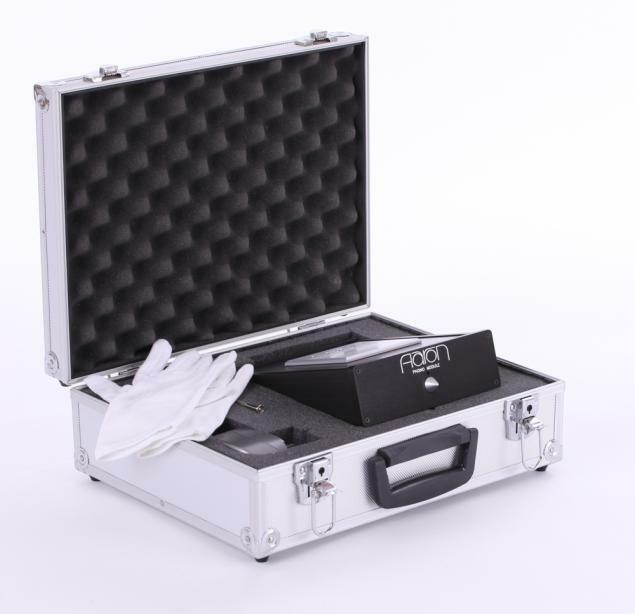 It is a universally usable precision phono preamplifier which ensures the right connection of your pickup system, and can therefore be considered the most important link between the turntable and preamplifier or amplifier within your high-end hi-fi system. Whether it’s an MM(Moving Magnet) or MC (Moving Coil) pickup assembled on your turntable, our High-End Phono Preamplifier can be adapted to each pickup system exactly, and even in current play mode. Each pickup’s adjustment goes via micro-switches which are directly accessible from the bottom of the phono preamplifier. In the blink of an eye, you can set resistance, capacity and gain precisely to the ideal levels for your pickup system. Very simple. Thus even a change of system becomes so easy to play. Precious, hand-selected components, a separate power supply and an impressive housing mechanism, which will be immediately recognized by connoisseurs as top-class AARON design, highlight the demand for precision and durability. You can request a technical data sheet and also our price list as a PDF file. Feel free to contact us for more information on the subject of "analog precision" and also on the subject of our “High-End Financing Service“. 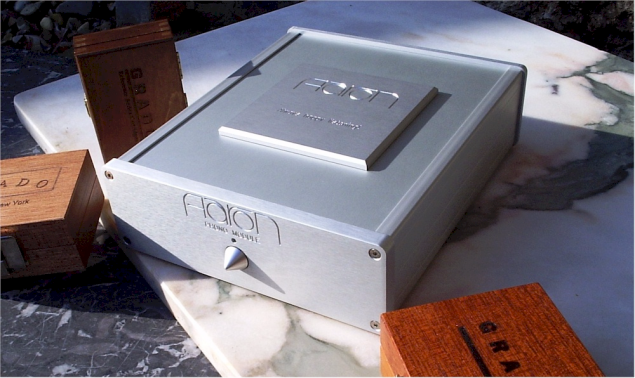 We look forward to welcoming you in the circle of AARON owners and analog lovers.